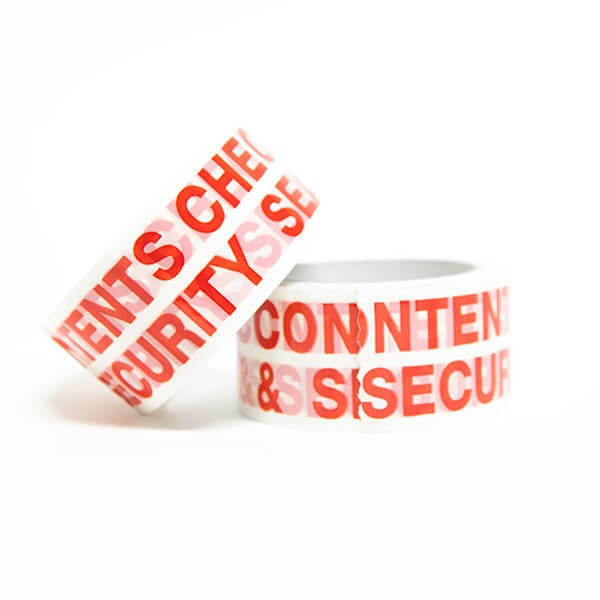 This packaging tape features a bold Red print that reads 'Contents Checked and Security Sealed' in bold font, making itself very visible and identifiable. This tape is suitable for letting package handlers know the importance of the packaged contents, helping to make sure that it is handled with care. 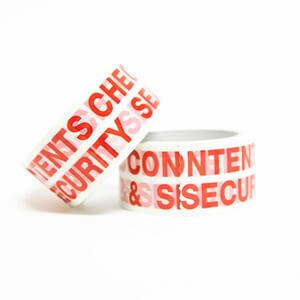 This tape is used for securing your package and letting shipping handlers know the importance of your package.